I am the team lead at my school for the first grade team. I like to start the year off with a little gift for everyone on the team. Since I purchased my heat press last year I have been doing a team shirt and some goodies to go with it. 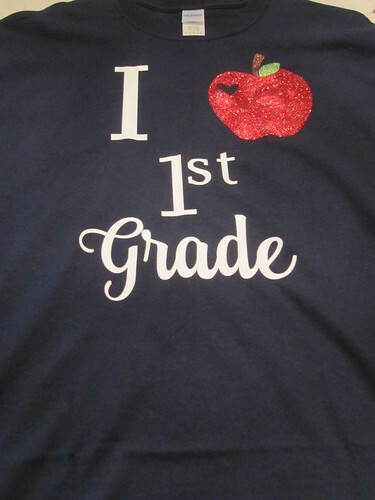 This year the design I worked on for our team is this I love 1st grade. I built my design in SCAL. The apple is a cut file from Lori Whitlock's website. I just love the little heart cut out. 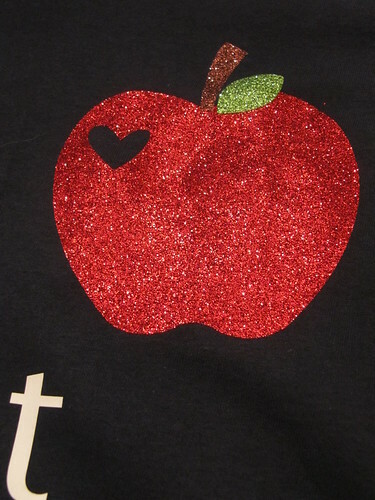 I used white vinyl for letters and built all the apple pieces out of glitter vinyl. They really pop on the navy t-shirt. 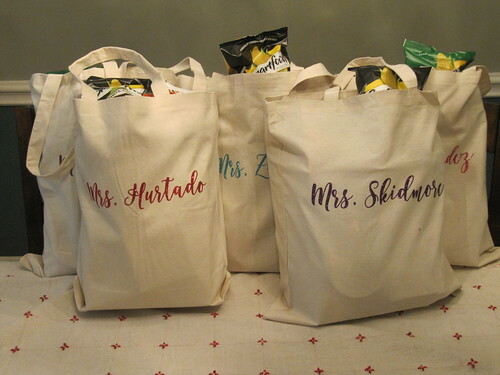 Then I cut everyone's name out in different colors of glitter vinyl to put on the bag. 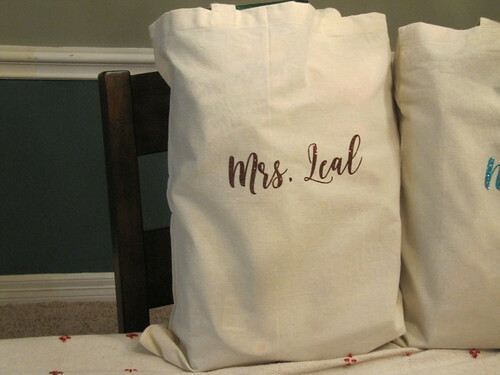 This was a great way to use up some of the small pieces of vinyl I hoard. 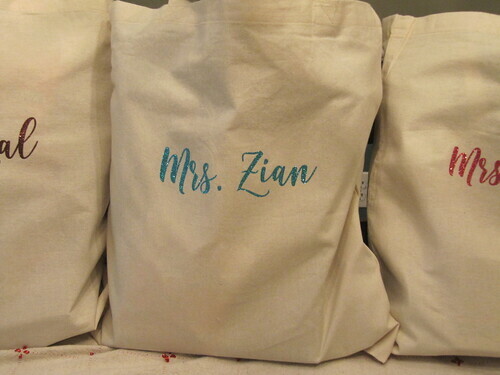 Inside the bag are several goodies. 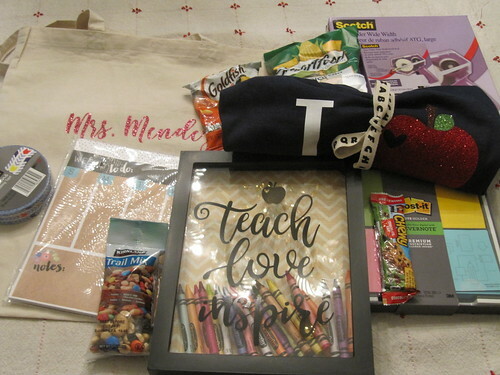 Including the Teach, Love, Inspire shadow box I share with you in this post. Some of the other goodies are colored post-its (we only get yellow at school! ), some washi tape, snacks, a big tape gun, and a list pad. I tied the shirt up with some cute ABC ribbon I had. Here are all the swag bags stuffed and lined up ready to share when we go back to school next week.